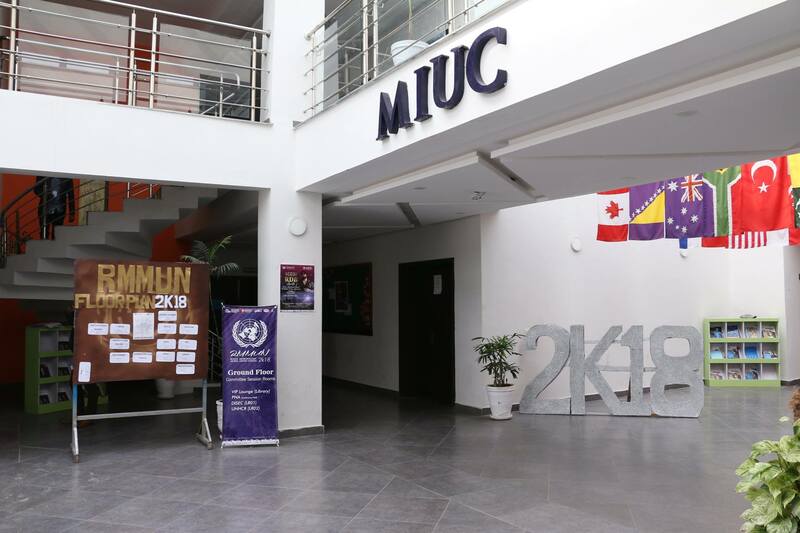 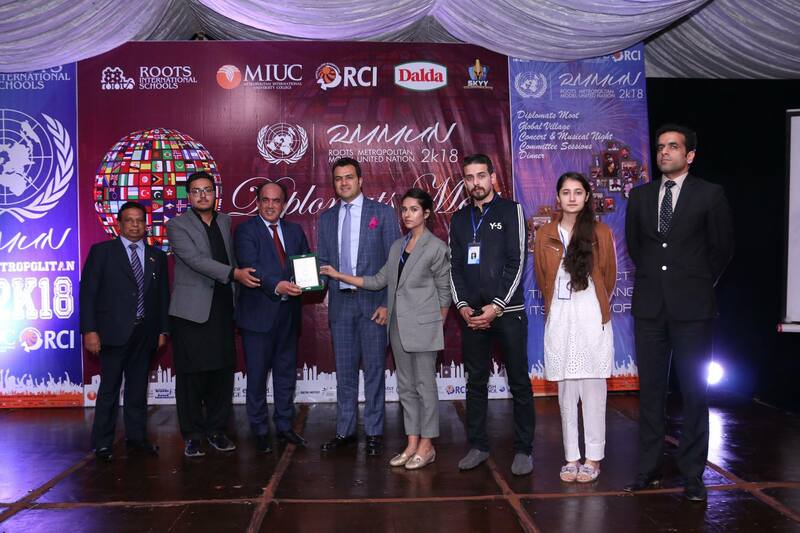 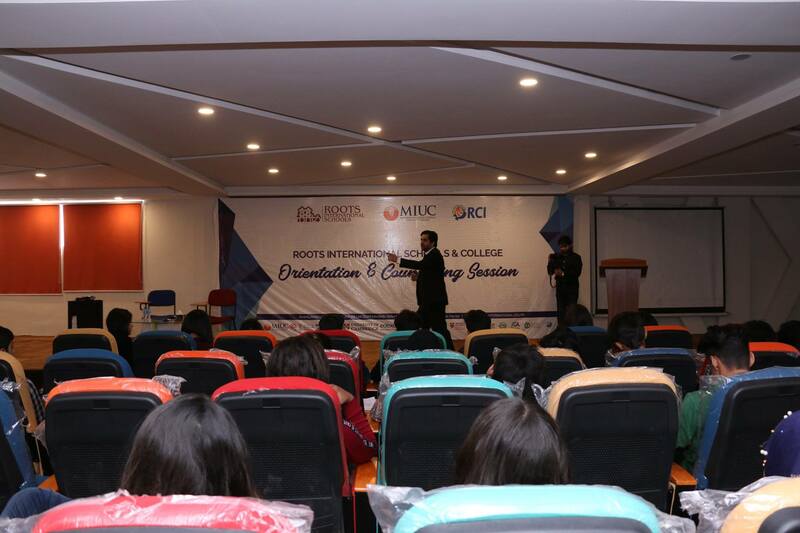 RMMUN 2k18 continues with its rich diplomatic essence. 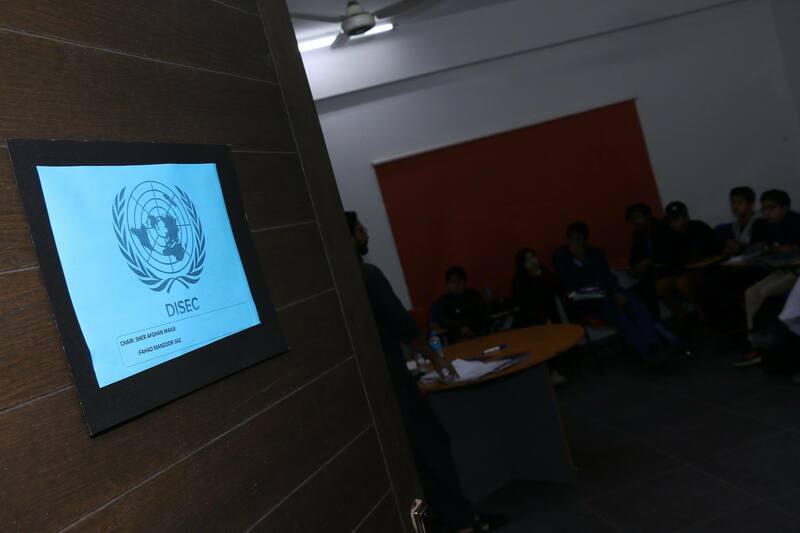 Second day went along with exciting committee sessions and Diplomatic Moot. 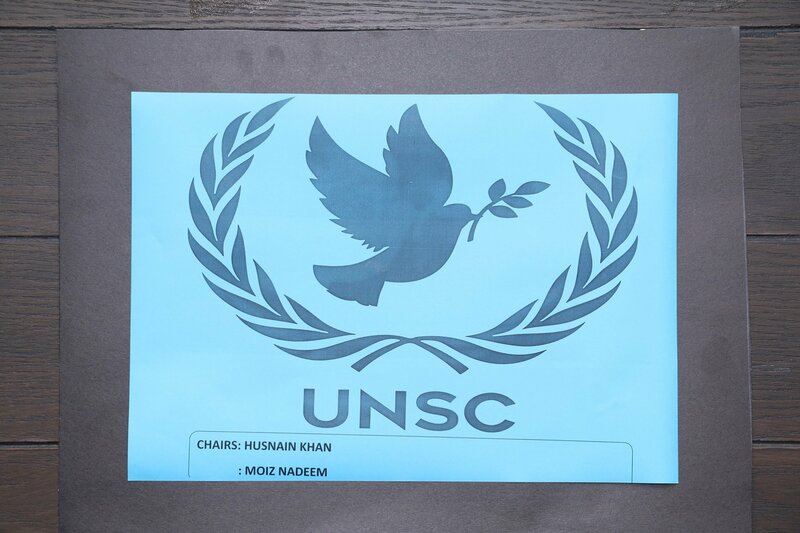 The seven committee sessions that commenced and carried on their sessions were: Pakistan National Assembly (PNA), United Nations Security Council (UNSC), Social Cultural and Humanitarian Committee (SOCHUM), Disarmament and International Security Committee, United Nations Human Rights Committee, United Nations High Commission for Refugees, and World health Organization (WHO). 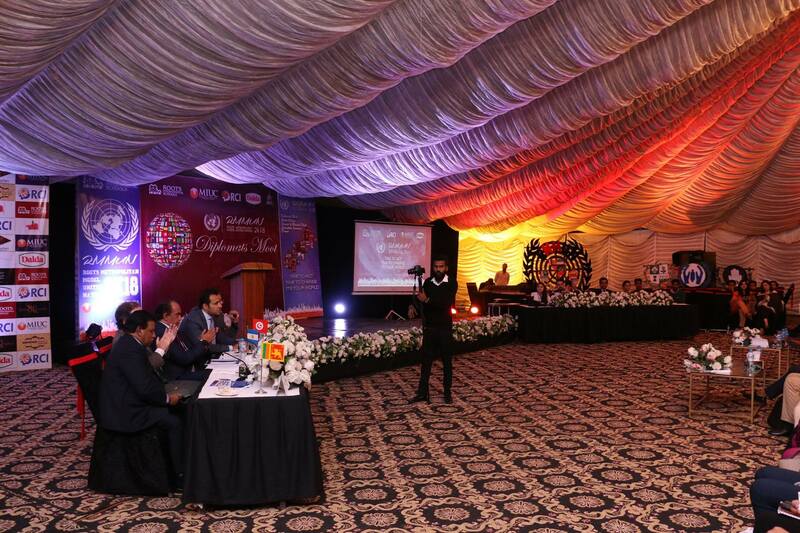 Few of the topics under discussion were Economic Reforms in Pakistan, Women and elections, Rights of Children, The United Nations Security Council Reforms, domestic violence and Honor killings, Developments in the field of information and telecommunications in the context of International Security, Protecting Refugee rights at Refugee Camps, Developing a global Action Plan to end Statelessness, safety of Health care workers in conflict Zones and addressing of universal needs to prevent and treat substance abuse. 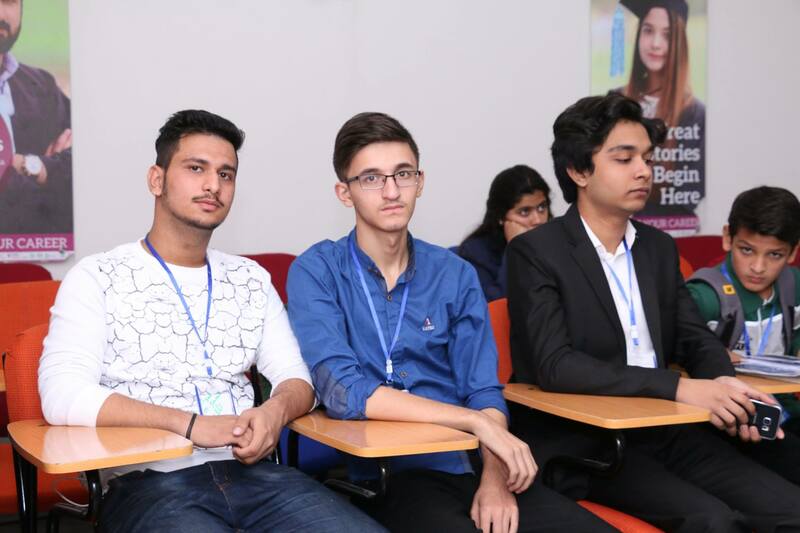 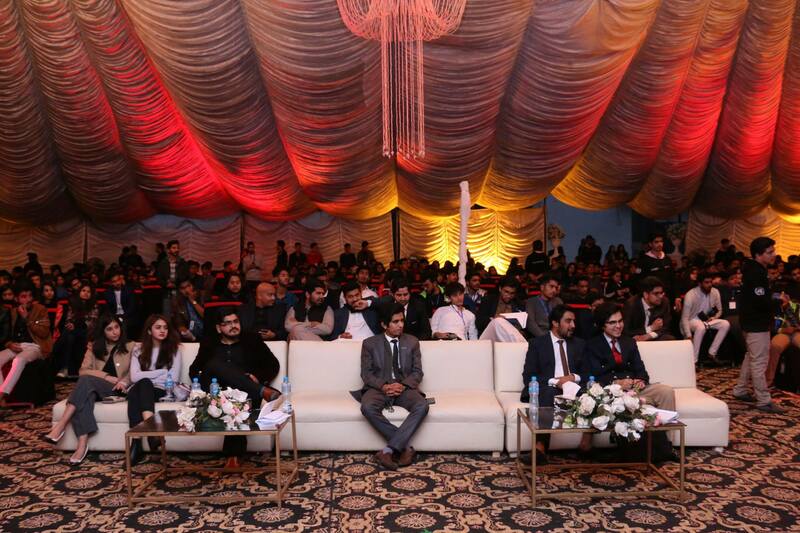 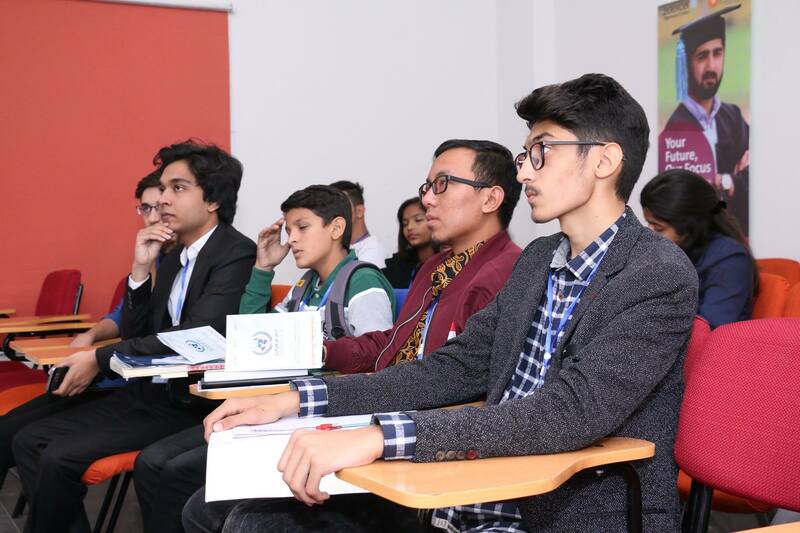 At Diplomatic Moot , a session was held where seasoned diplomats shared their views about global issues and solutions, shared their experiences, advised and underwent healthy discussions with students. 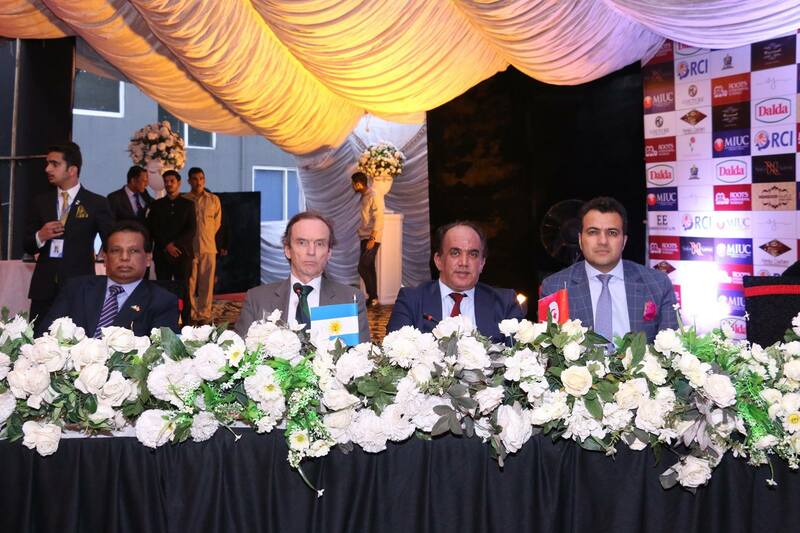 H.E Mr. Ivan Ivanissevich Ambassador of the Republic of Argentine to Pakistan, Mr. Vlastimil Samek, Director United Nations Information Centre Pakistan , H.E Mr. Adel Elarbi Ambassador of the Republic of Tunisia to Pakistan, and H.E Mr. Noordeen Mohamed Shaheid Ambassador of the Democratic Socialist Republic of Sri Lanka to Pakistan graced the event with their presence. 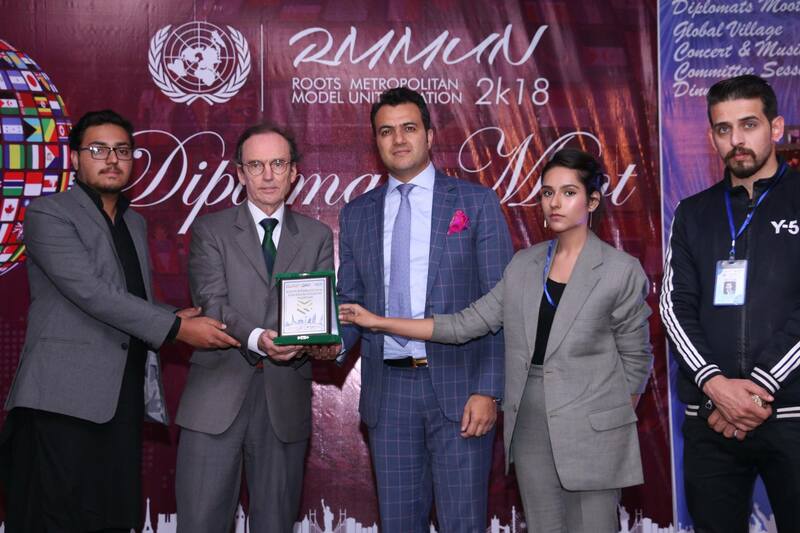 Mr. Vlastimil Samek appreciated the conduction of the United Nations Simulation by RIS. 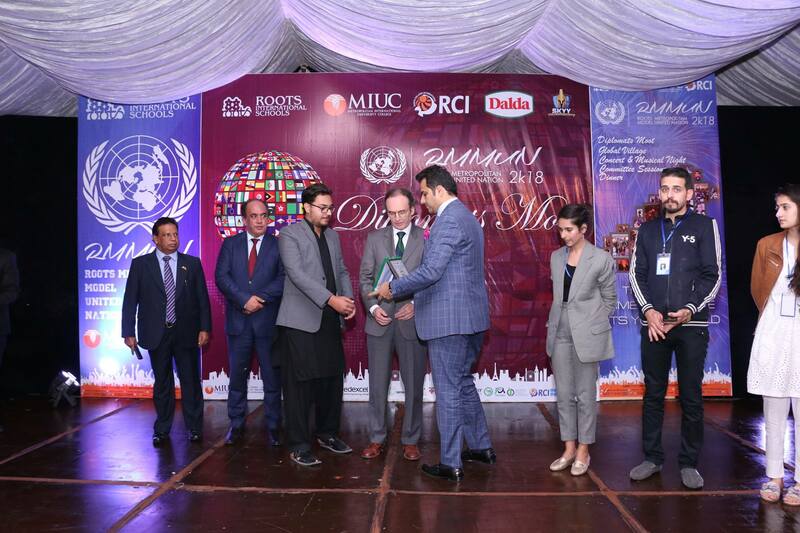 He furthermore stressed the importance of such initiatives, and added ‘though this is a century of development and progress our world is still divided by conflicts and challenges it is only through negotiation and understanding we can overcome such challenges’. 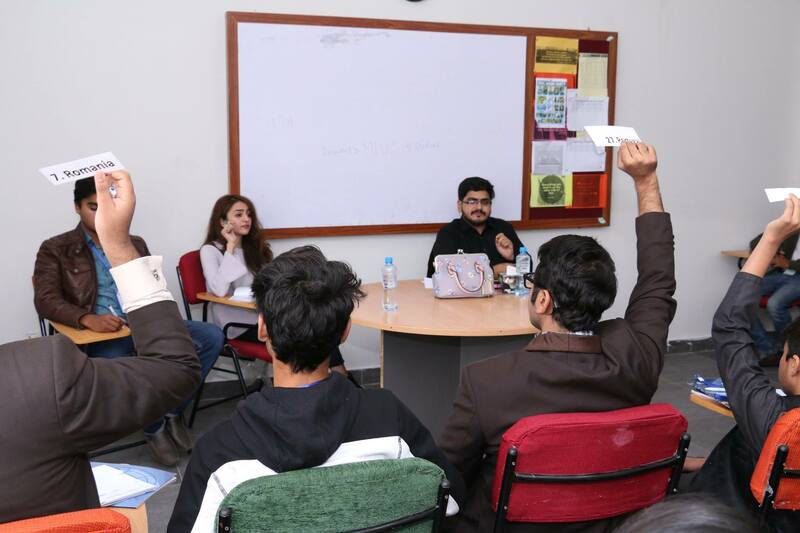 He furthermore thanked everyone participating and coming together to talk about solutions. 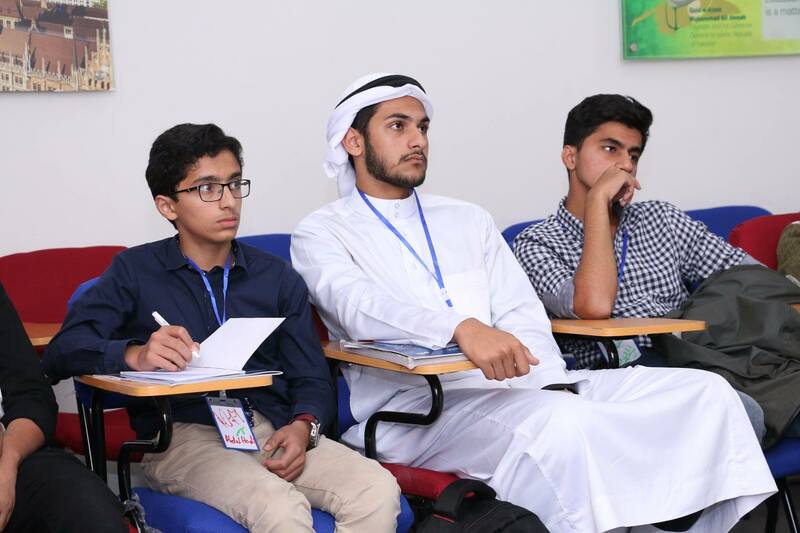 H.E Mr. Adel Elarbi, advised how all of us can learn from each other. 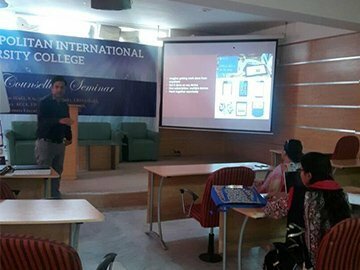 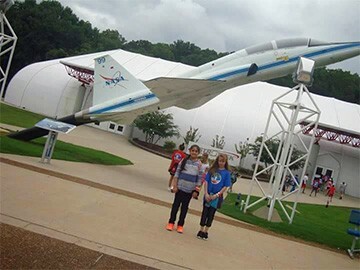 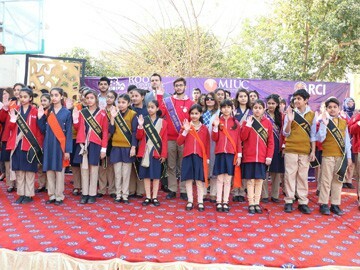 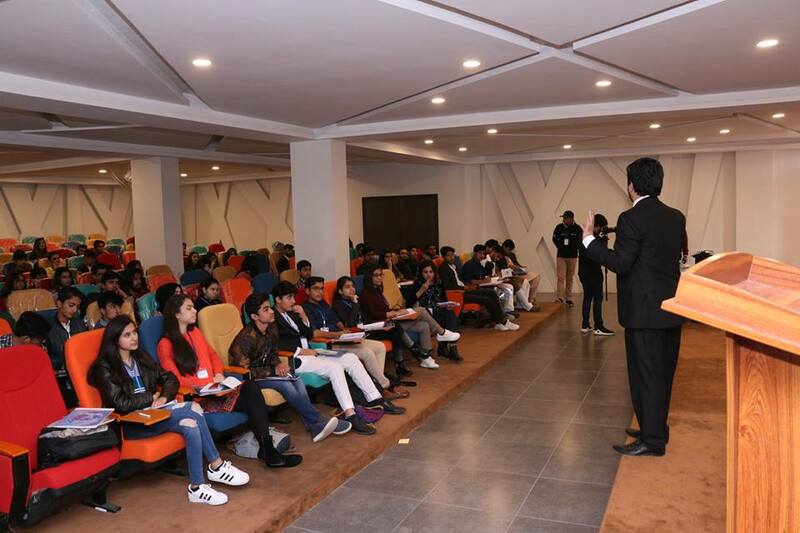 Students have fresh ideas which they should pursue with zeal and hard work. 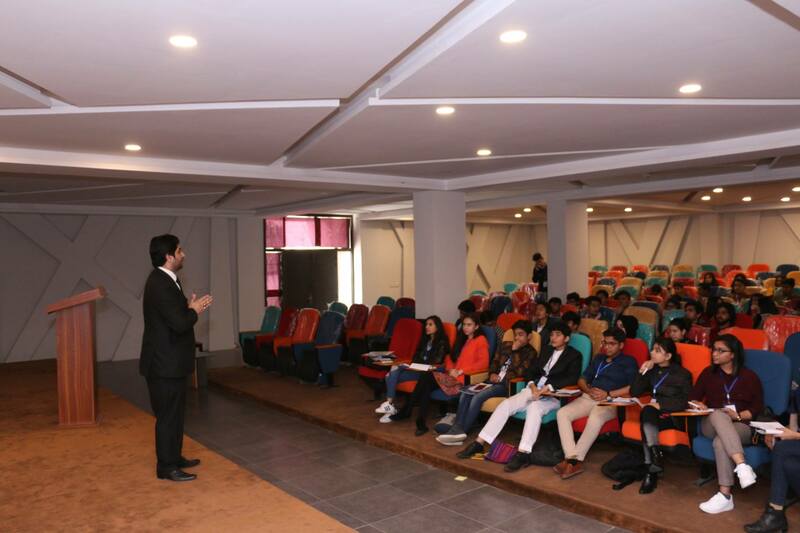 He emphasized on the importance of dialogues and reaching mid way to solve problems. 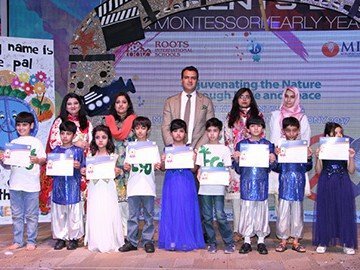 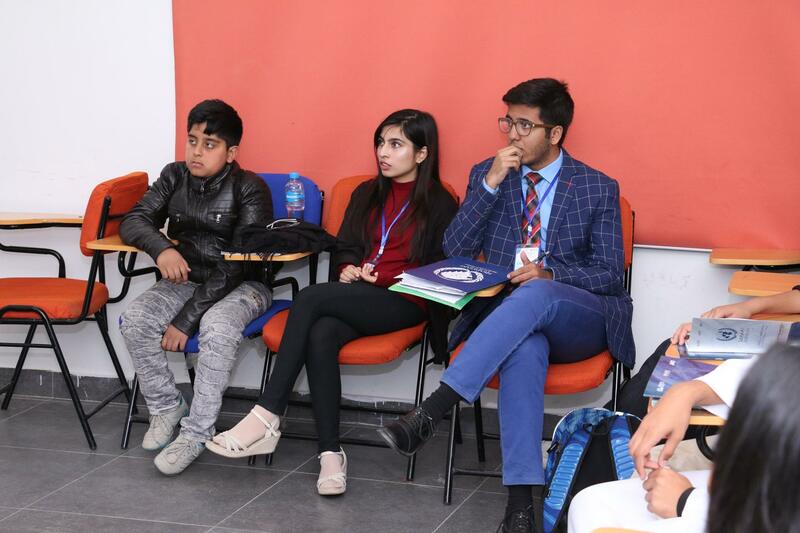 Mr. Walid Mushtaq, CEO Roots International Schools moderated the session, giving his valuable views and engaging questions from the members. 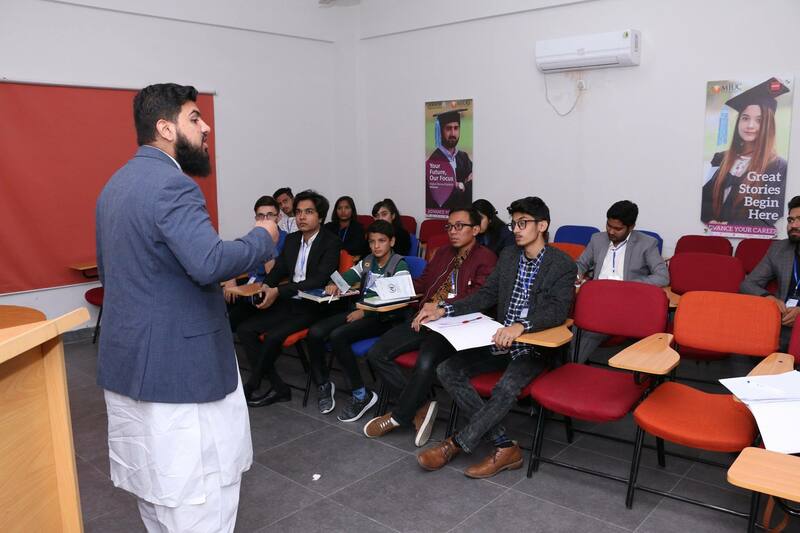 H.E Mr. Noordeen Mohamed Shaheid, briefed audience on the importance of two diplomatic traits of intervention and lobbying in light of Sri Lanks’s history and how they resolved their 30 years long conflict. 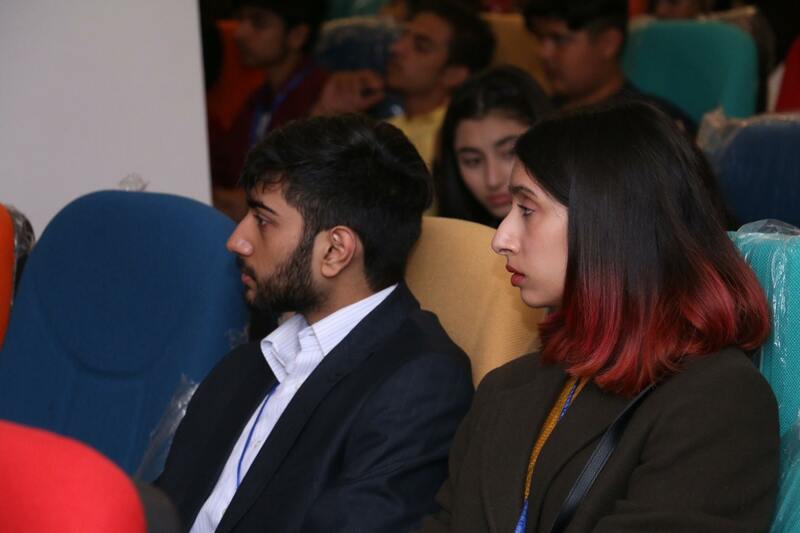 H.E Mr. Ivan Ivanissevich Ambassador of the Republic of Argentine to Pakistan also appreciated proceedings of all committees. 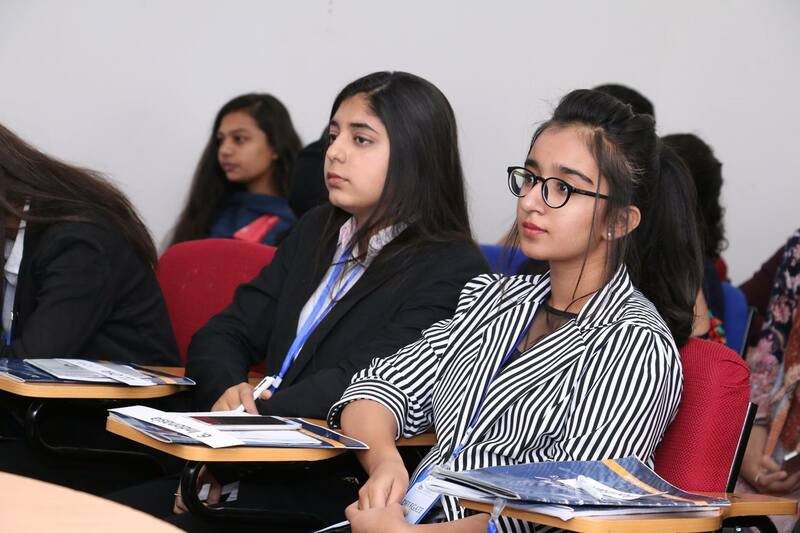 Chairs from all committees shared their ongoing proceedings to the audience, on which the diplomats gave their worthy reviews. 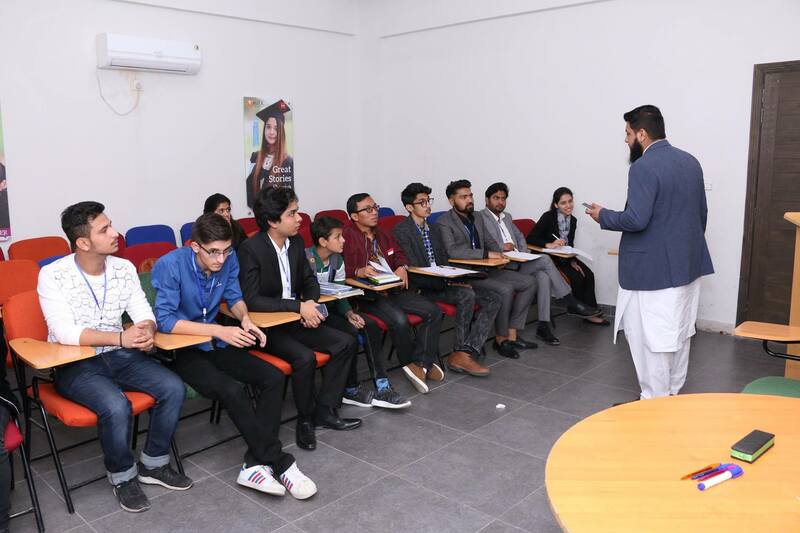 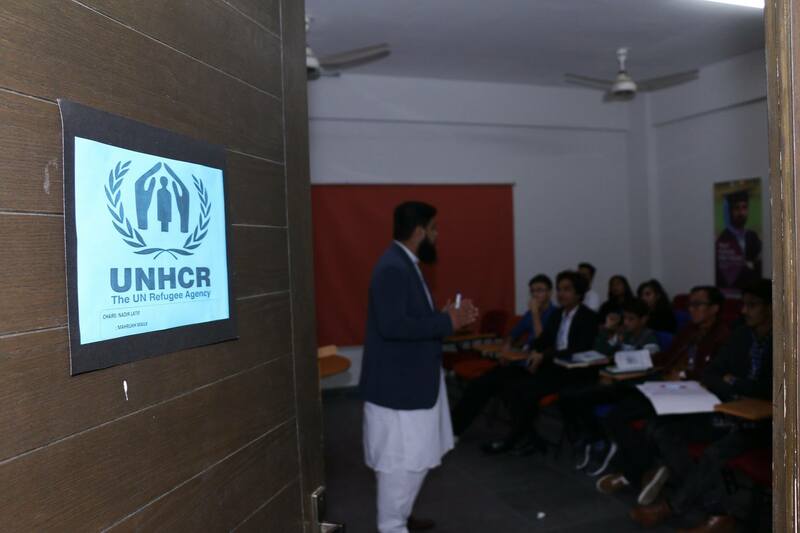 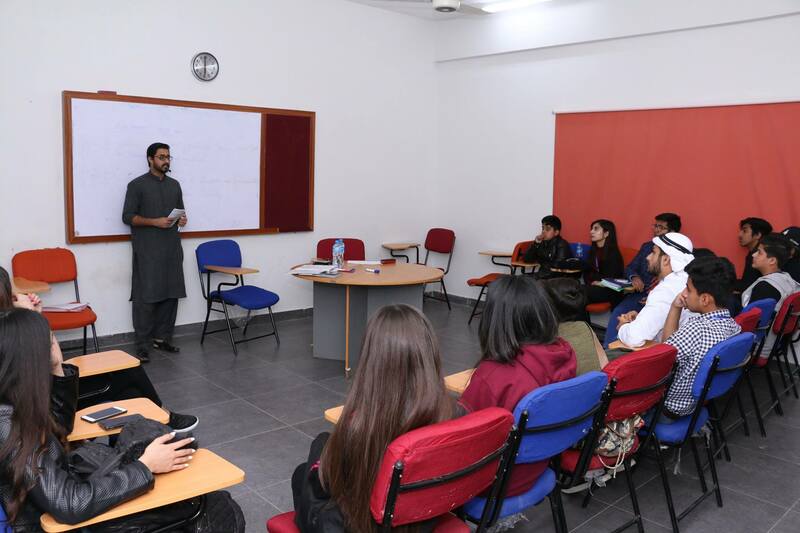 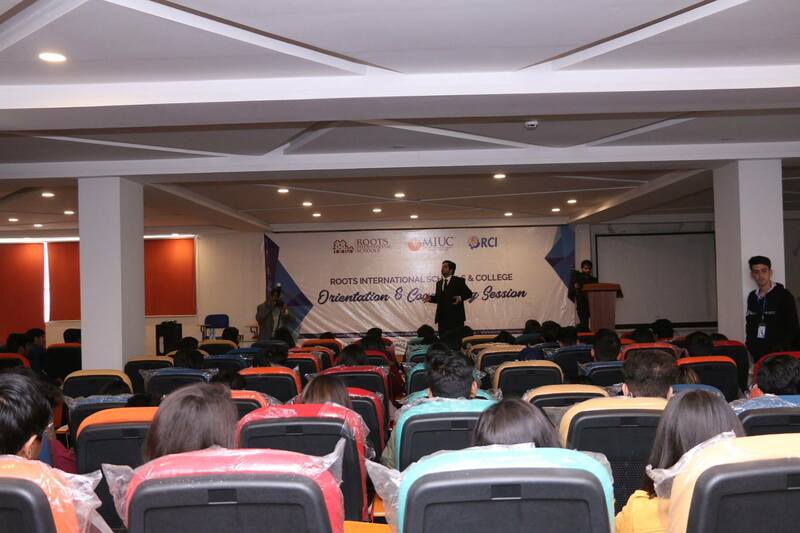 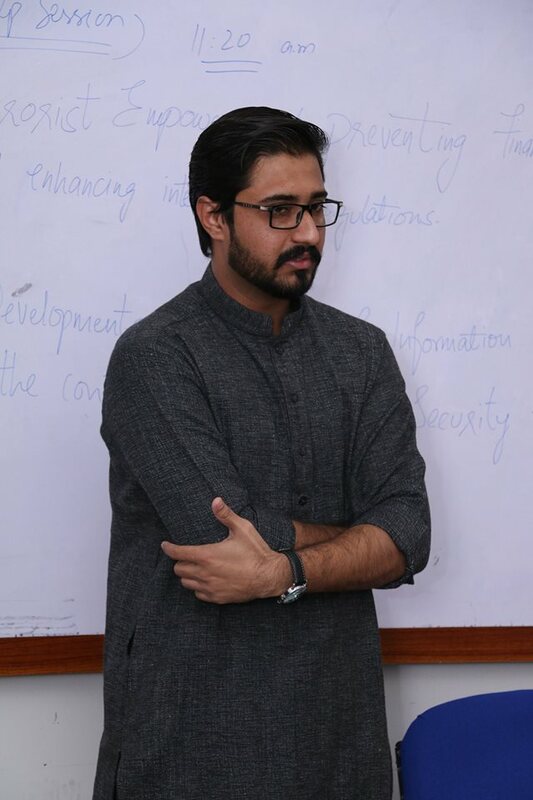 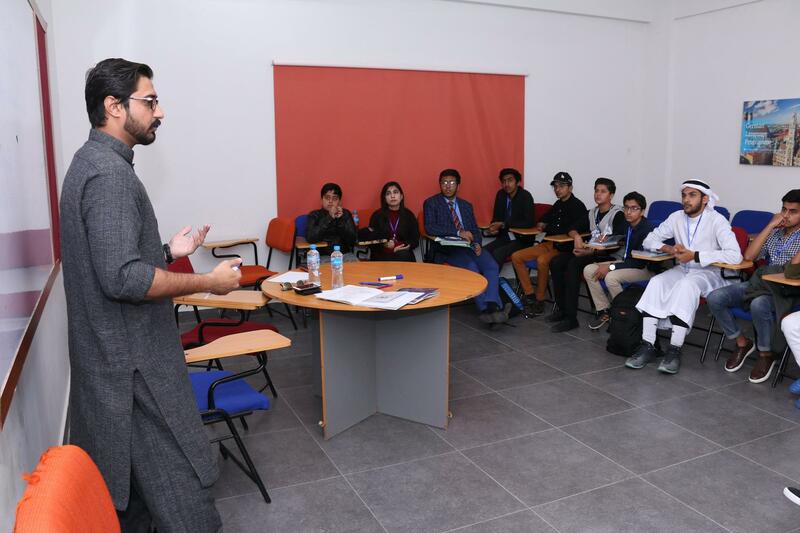 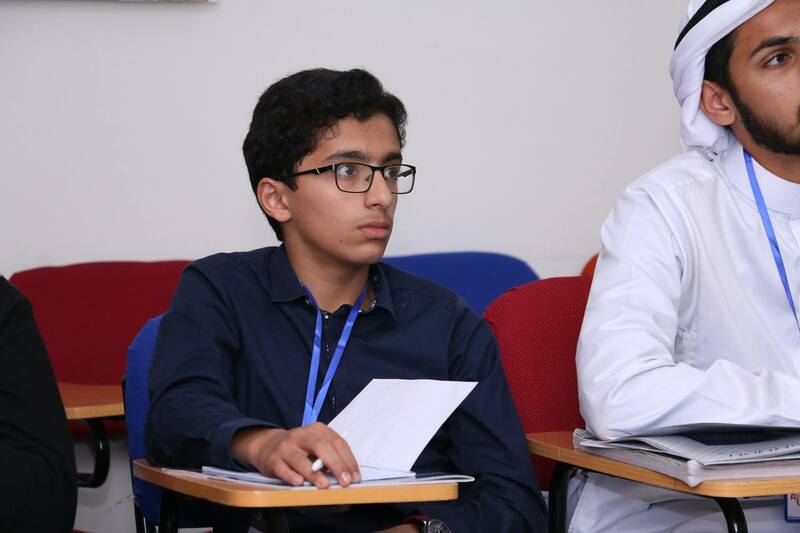 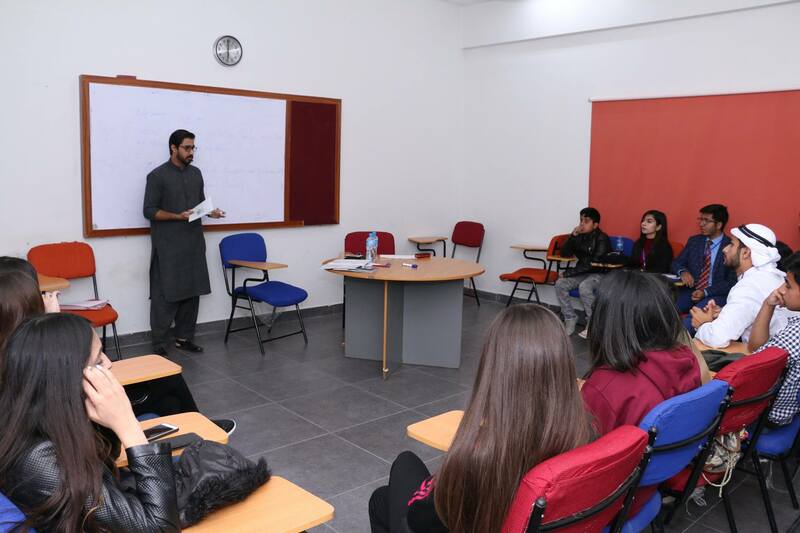 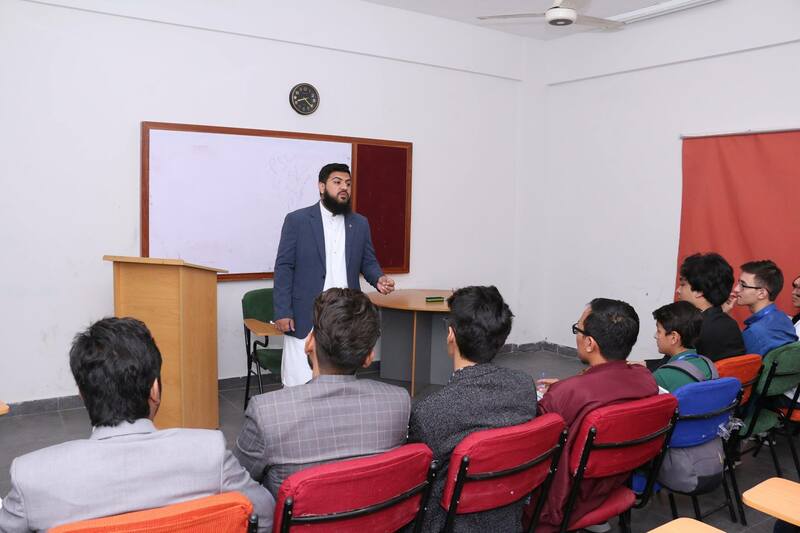 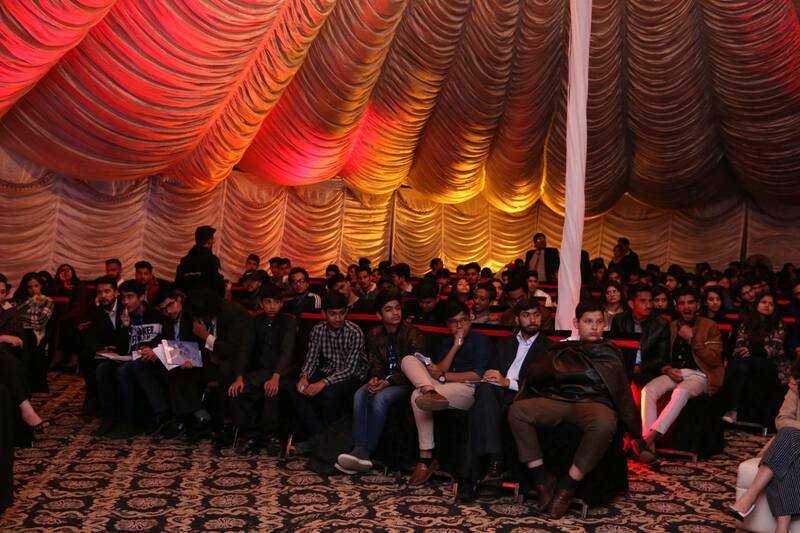 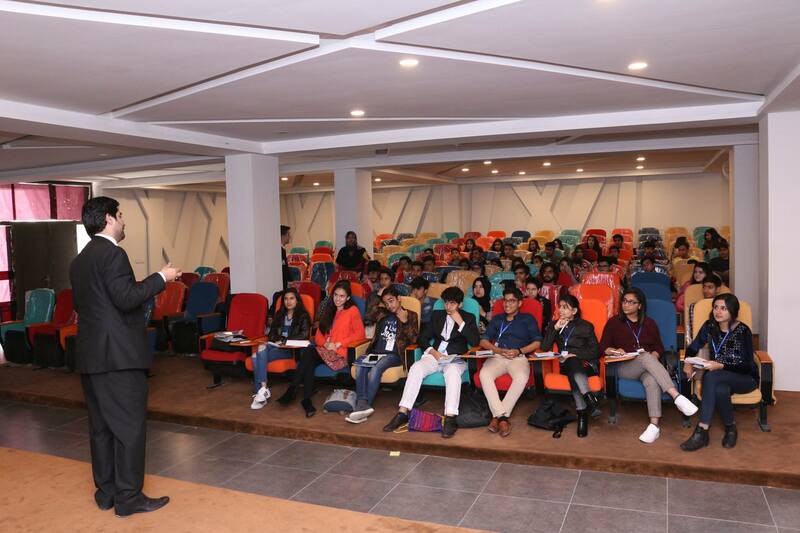 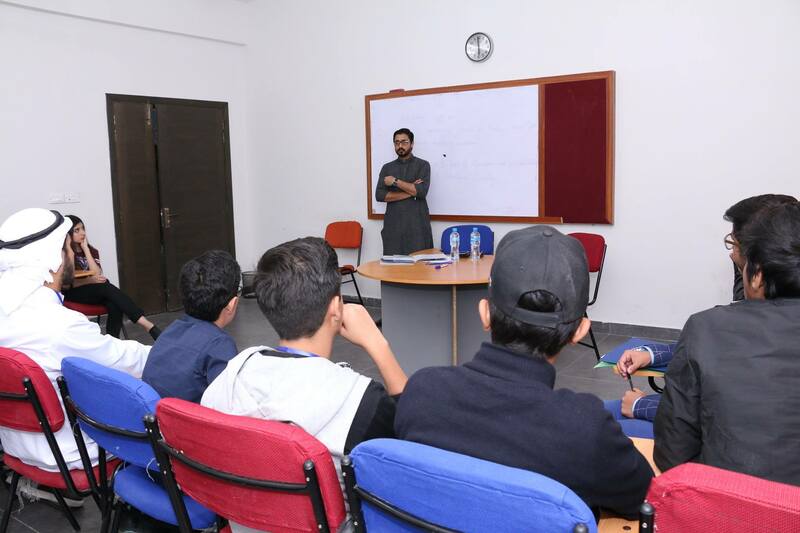 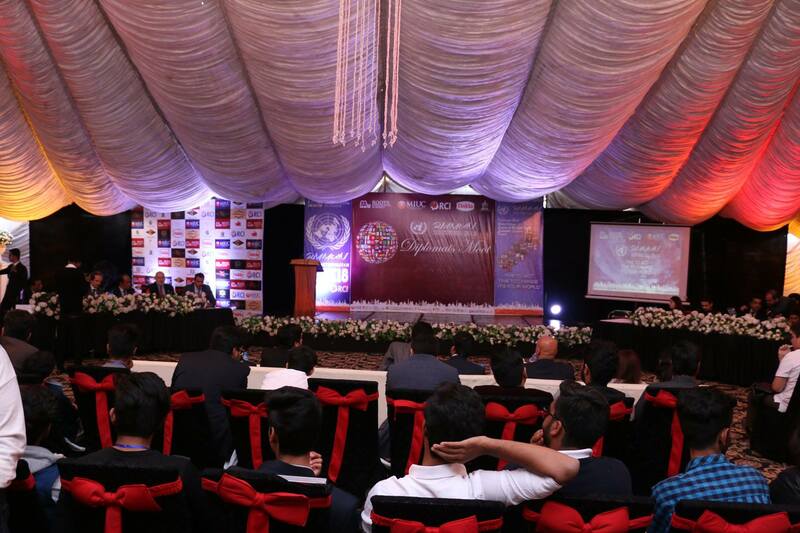 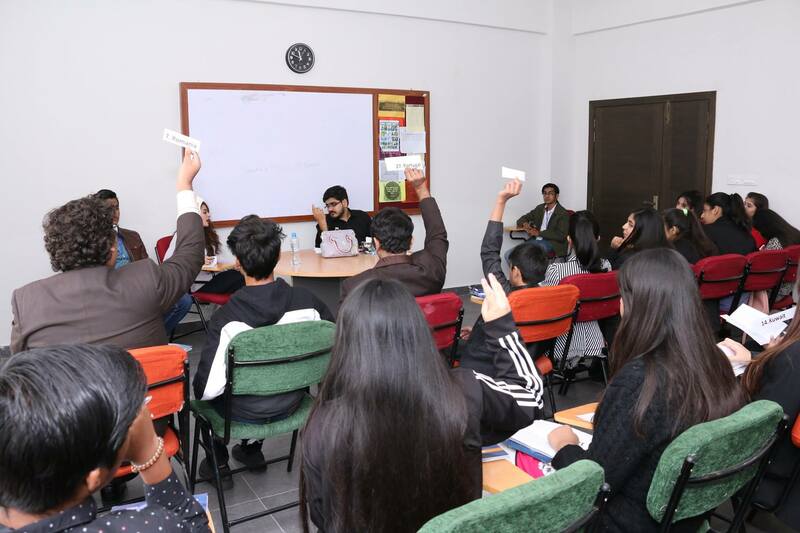 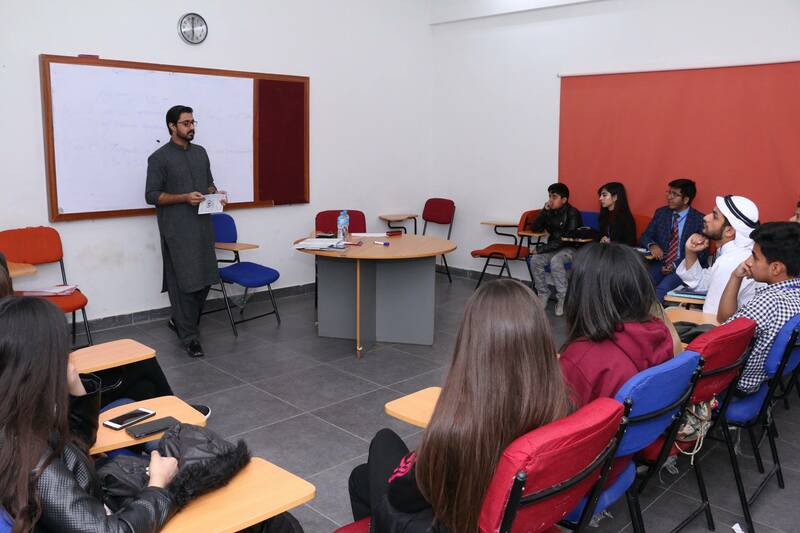 In the last session a questioning session was held where students asked the respective diplomats question regarding world politics and workings of UN, which were well received and students got a chance to learn more. 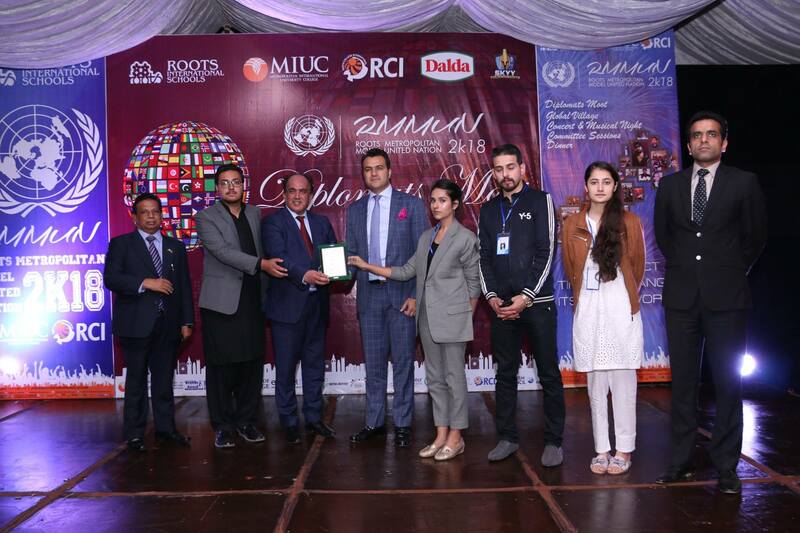 Event concluded with a momento presentation ceremony.